DX2 DIXIDOX+AMINOPYRIMIDINE TREATMENT 100ml with DX2 DIXIDOX AMINOPYRIMIDINE molecule, excites the production of new cells from the hair matrix. 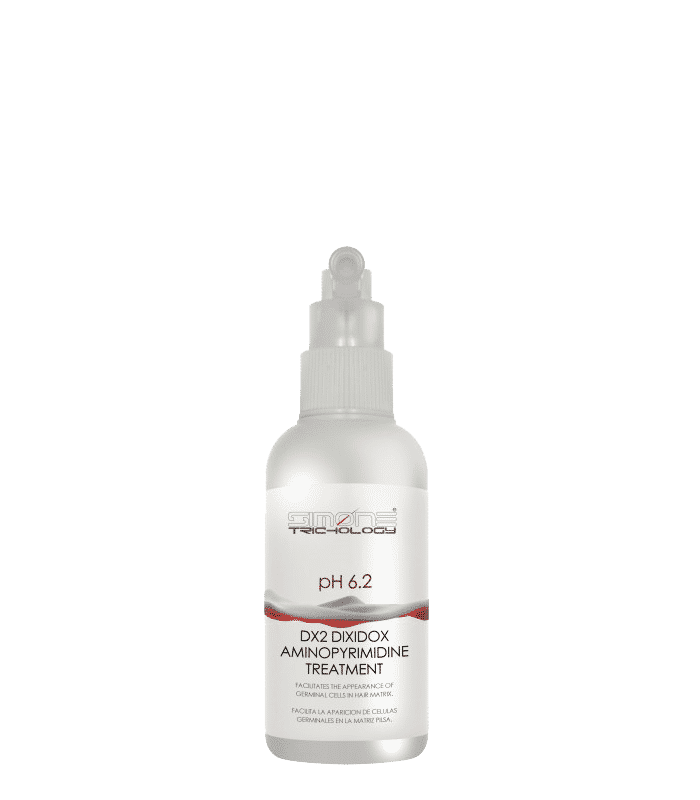 The DX2 DIXIDOX TREATMENT 100ml with DX2 DIXIDOX AMINOPYRIMIDINE molecule, excites the production of new cells from the hair matrix. This, produces a normalization in the hair production and, in the potencial repopulation when, there is a minimal possibility of recover it, in seemingly definitive hair loss. Apply SIMONE TRICHOLOGY DX2 DIXIDOX TREATMENT 100ml every days after wash the hair with PREVENTION HAIR LOSS SHAMPOO and HAIR´S NUTRIENT ROYAL JELLY SHAMPOO during 90 days. AGA Hair Loss System Kit 68,99 € VAT incl. Prevention Hair Loss Shampoo 17,13 € VAT incl. Hair Nutrients Royal Jelly Shampoo Professional 23,55 € VAT incl. Natural Anti-Dandruff Treatment 150ml 26,35 € VAT incl.